Q: Do you have a home repair program? A: No, Operation Threshold does not have a home repair program. Waterloo homeowners, who live within the city limits, are current with their taxes and have lived at their residence for at least one year can contact Community Development at 291-4429. Cedar Falls homeowners can call their City Hall and ask for housing. Q: Where can I get school supplies for my children? A: Every year in July the Northeast Iowa Food Bank takes applications for school supplies for children in Black Hawk County. For those in Buchanan and Grundy, please contact Operation Threshold in the appropriate county – they do school supply drives. Q: Do you assist in helping find a place to live? Also, what about rent and deposit assistance? A: We offer Tenant-Based Rental Assistance (TBRA) to FaDSS participants and to those on Section 8 waiting list. This program provides eligible participants with the full rental deposit and 70% of the first month’s rent for housing units within the City of Waterloo. All housing units must be inspected and meet or exceed Housing Quality Standards (HQS). 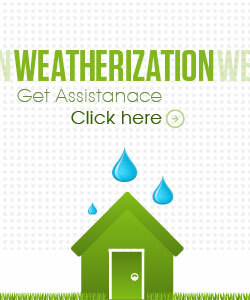 Inspections are performed at no cost by a qualified housing inspector. For more information, see the affordable housing page. We also have affordable housing units available. See the affordable housing page, for more information. Please contact the Grundy and Buchanan offices directly for inquiries regarding rental assistance. For those who do not qualify for TBRA, O.T. offers (what we call) a Low Income Housing list. This list has apartment complexes and landlords listed. We are not affiliated or endorsing any of these. In this case, O.T. does not assist with rent or deposit. Referrals are made to other agencies for rent. Q: Is there any agency that will help me get back home (transportation)? A: As far as we are aware, there is no agency that helps with that – Black Hawk County Community Services used to assist with this. Q: I need help with my medications, where can I get assistance? A: Contact Black Hawk County Community Services for assistance with medications. Q: Do you have a Thanksgiving or Christmas basket program? A: There is no basket program in Black Hawk County. However, we refer individuals to other agencies. Usually, some of these agencies will send us fliers letting us know about their holiday programs. Grundy and Buchanan Counties do have basket programs. Q: Do you help with disconnection notices (electric, heat, water)? 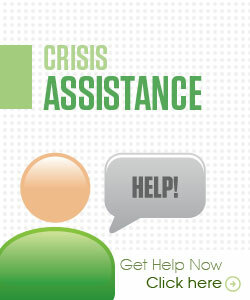 A: We schedule crisis appointments for electric and heating disconnections from April 1st to October 31st that is when the moratorium is not in effect) Starting November 1st thru March 31st, if a household has been approved for Energy Assistance, the heating, and electrical vendors cannot disconnect services until April 1st. We usually refer clients to other agencies for water disconnections, although we do occasionally set up appointments for water disconnections. Q: Do you assist if I have a pay agreement due on my bill? A: We treat a pay agreement like a disconnection. If the client does not make their payment for the full amount on the specific date the bill is due, the clients can be disconnected without notice. Q: Do you have a car repair program? A: No. There is no agency that has a car repair program. However, under special circumstances, depending on funding, Operation Pocket Change can assist with small repairs. Q: Where can I get help with getting appliances? A: There is no agency that helps with appliances, but we refer clients to other agencies for clothing and household furnishings. Under special circumstances, Operation Pocket Change can assist with things such as appliances. Q: What is a key card? How can I get one? A: A Key Card allows reduced cost or free admission for some community programs as well as bus transportation. 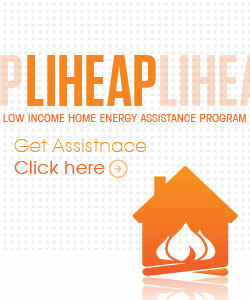 Households that received energy or crisis assistance in the current fiscal year are eligible. Households that currently receive FIP, SSI, WIC, food stamps, or are Nest participants should call Operation Threshold to verify eligibility. For more information about key cards, download the key card brochure on the resources page.